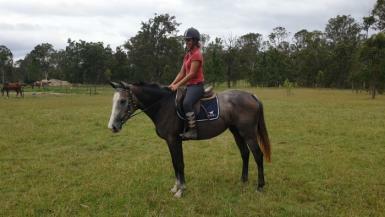 Willow is a 4yo, 15.1hh, grey, petite, Warmblood mare by Warrego William. She is green broken and looking for a rider to take her on. 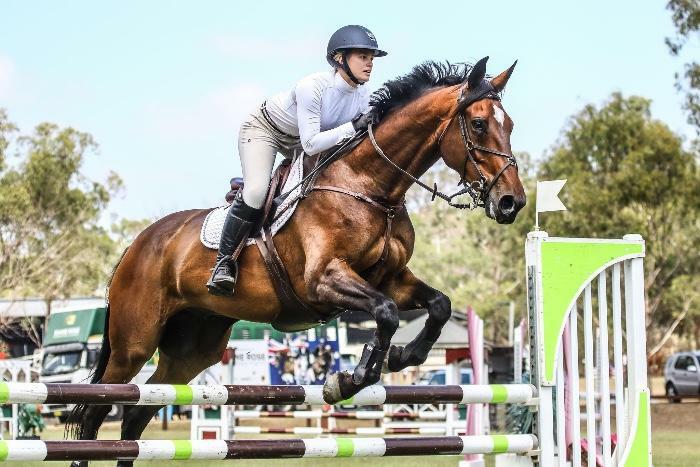 Although she shows much promise in the free jump arena, this mare would suit any discipline. She has an honest and kind disposition and is willing to please. 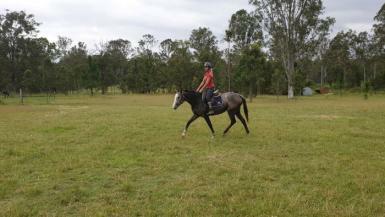 Willow has been on trail rides through the forestry and along the road and has behaved as if she had done it all her life. 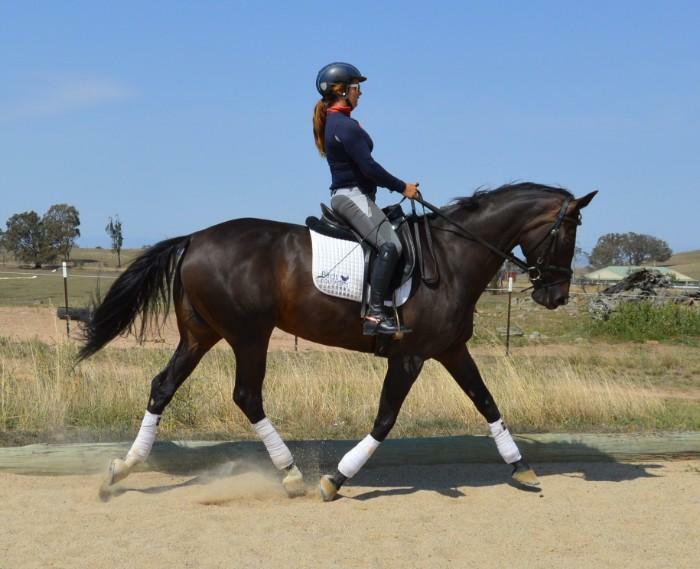 Her flat work is comfortable and balanced and she is very responsive to the leg. 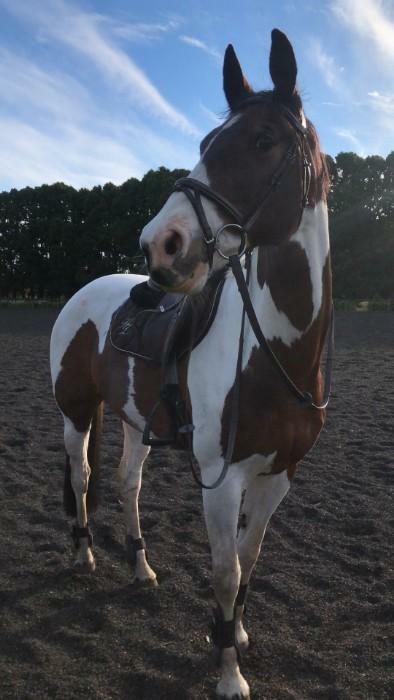 She has a kind snaffle mouth and has not been pressured to create a frame. 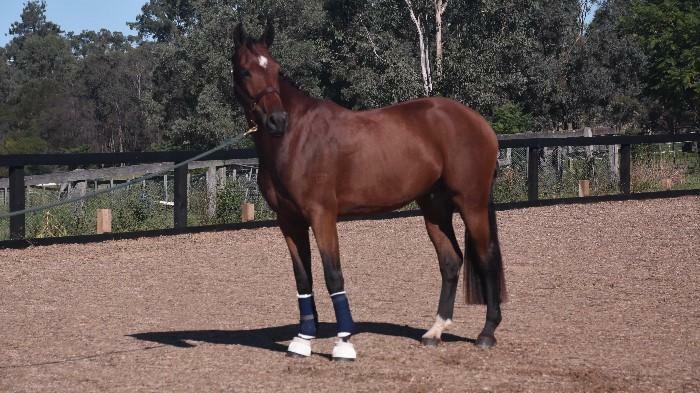 Her conformation suggests as she builds up with more work, her frame will come naturally. Since starting Willow, she has never displayed any unsatisfactory behaviors; no kick, bite, buck, bolt or rear. 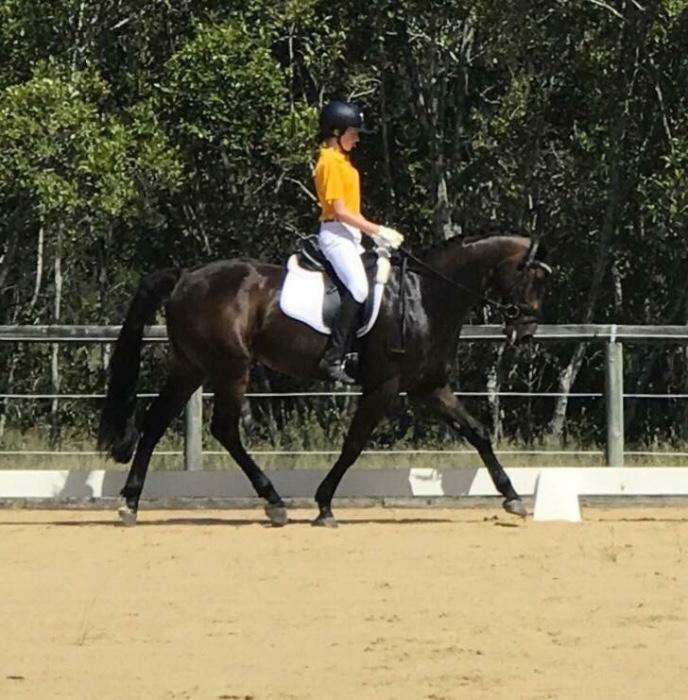 She has been an absolute pleasure from the very beginning. 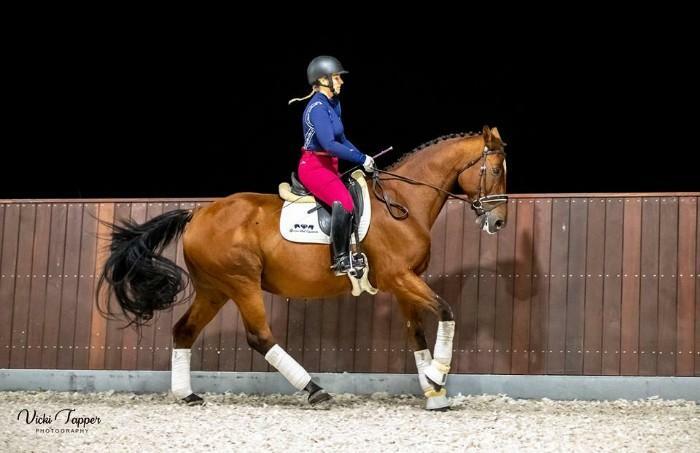 Willow is easy to catch, lead, handle, saddle, bridle, lunge, hose, rug, pick up feet, and ride. 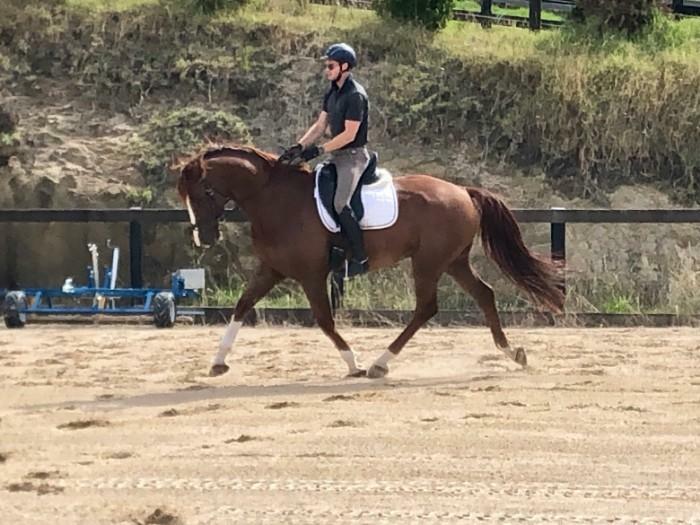 Willow is happy to be ridden with or without other horses, she doesn’t exhibit any mare like behavior and doesn’t get ‘matey’.